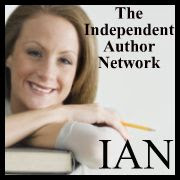 The Independent Author Network is a group of like minded authors who are self or published by a small indie press. This group would start out at around 12 authors who are active bloggers, and social networkers. The group would share info, ideas, and experiences from their travels around self promotion/publishing. This group would be free to join. The only cost would be 20-30 minutes of each author’s time per week. Each member would put together a book synopsis with cover jpeg and a bio with head shot jpeg and then send it to us in a word file. These files would be used to generate an article that would published in a Press Release and an Ezine article. All members would be asked to Tweet, facebook and if possible guest post to their own blog each article we do. So right away each member would have an article about their book in a PR and Ezine, twittered, blogged, Facebooked etc. by the others. Also, if a member had a new book releasing, a book signing, a blog tour or any event the info would be posted to a PR and Ezine and again the others would Tweet, blog, Facebook etc. the event as their time allows. This would also work when an author has a guest post at a blog--the members could tweet the post and comment on the blog. Blog tours could be followed by the group. Members might like to review other member’s books as well. It is expected that this network will grow to several hundred active members. Several hundred authors all tweeting and blogging as a group could really boost exposure for everyone involved. This group would work on the honor system and we would hope that everyone would contribute. Major decisions would be put to a vote. Membership would be free. Members would communicate through e-mail. 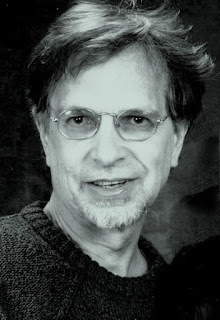 Members who are active would be featured by admin publishing articles about the author at high exposure sites like American Chronicle and BloggerNews Network. To have at least one blog. A few spare minutes a week to Tweet or link a post to facebook and to publish the odd guest post on their blog. A willingness to share ideas, successes and the like.